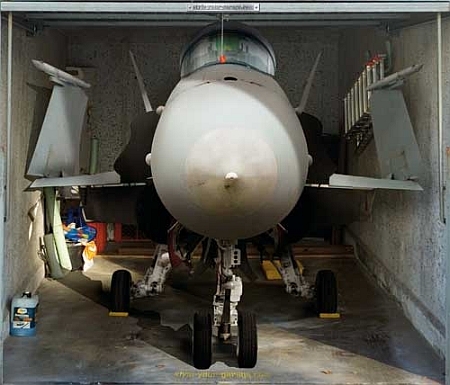 Currently viewing the category: "Garage"
One possible way to create extra space in your tiny garage is to install a vehicle lift like the SuperLifts SR-7H shown above. The standard SR-7H has a 7,000 lb. 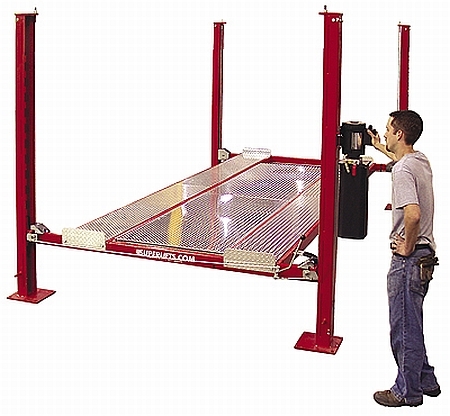 rating (its locks have a 3-to-1 safety rating), a 98.5″ drive-through clearance, a 71″ max. under-ramp clearance, and uses four aircraft-quality lifting cables, each with a lift strength of 14,500 lbs. Its 3″ hydraulic cylinder has a lifetime guarantee on its seals. 36″ approach ramps store between the rails. The SR-7H is heavily advertised as made in the USA. On one hand, this just seems so wrong: converting a perfectly good garage — or workshop! — into a 250 square-foot home. On the other hand, when you read about the circumstances of its owner, Michelle de la Vega, and how she acted as a general contractor and went to welding school to learn how to build furniture and architectural fixtures, you start thinking that this is kinda neat. and, for those with double garage doors, the dump truck. 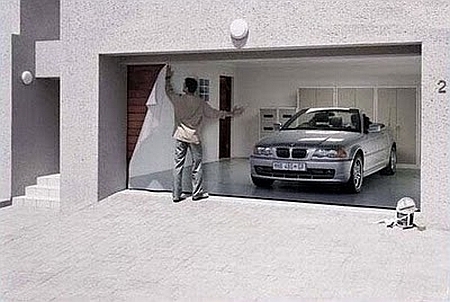 If you don’t want to do your garage door, the company also has similar products for standard doors and windows. Prices are $225 for the single-door garage versions, and $439 and up for the double-door and triple-door garage versions. The single-door “motif of the week” is $185. During one of my somewhat sporadic efforts to clean up the garage/workshop so I can actually do something once in a while without rearranging stuff, moving cars, and cursing, I decided I needed an easy way to get some of the heavier stuff off the floor, and somehow stored higher up. A bit of Googling turned up the RacorPro HeavyLift. Its reviews on Amazon were generally favorable, although many panned the installation instructions. When assembled, the HeavyLift consists of a 4’×4′ wire mesh platform, steel support beams, a hand crank, and a pulley/winding axle system that can handle up to 250 pounds. The platform lowers 8′ from the ceiling. No, that’s not my car, and that’s definitely not my garage. But I can dream, can’t I? And I thought that looking through the Griot’s Garage catalog was fun. 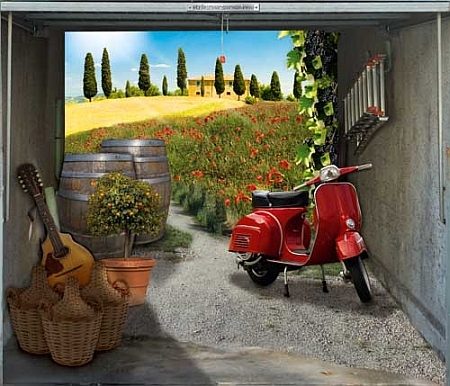 The Ultimate Garage, started by Steve D’Gerolamo, provides a variety of products and services — “The only limits are one’s imagination and budget” — to assist you in building or outfitting your garage and workshop. 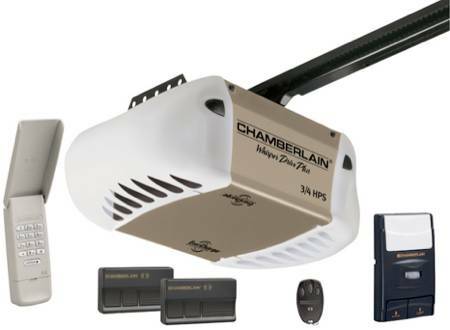 It has all the usual stuff like architectural plan reviews, air conditioning and dehumidification systems, audio and video distribution — doesn’t your garage have CAT6 hookups and a video server rack? — building acoustics, electrical-power distribution and backup, fume extraction systems, and more. The link below is the first of several pages showing some incredible garages, cars, and equipment. This Whisper Drive door opener caught our attention on a Lowe’s outing a couple of weeks ago, and now it’s on sale. Marked down from $248, it’s just $188 today only. 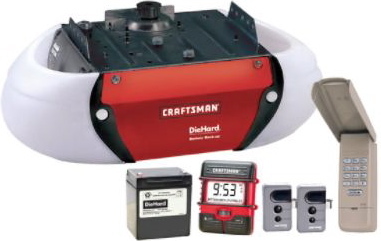 The tale of the tape: You get a 3/4 horsepower motor, a motion-detecting control panel, two 3-button remotes, a mini-remote, a wireless exterior keypad, and safety sensors. And since it’s a belt-type opener, it’s vewy, vewy, qwiet. My favorite part is the exterior keypad, though. I never thought twice about these until Sean installed one and I realized how incredibly convenient they are. Forget your remote — or (better yet) leave it in the car that’s in the garage? Just hop out, key in your code, and you’re good to go. It’s also handy when you want to, say, loan a tool to a friend. Just give ’em the code and they can come get it without rolling you out of bed at 6:00 a.m. on Saturday. 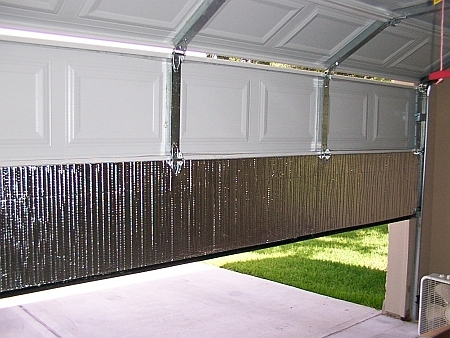 The ShelterLogic Garage Screen installs across your open garage bay door to allow breezes and more light into your garage. While I probably wouldn’t host a party like the good people in the photo, more than once has a neighborhood dog wandered up to me while I’ve been under the car. 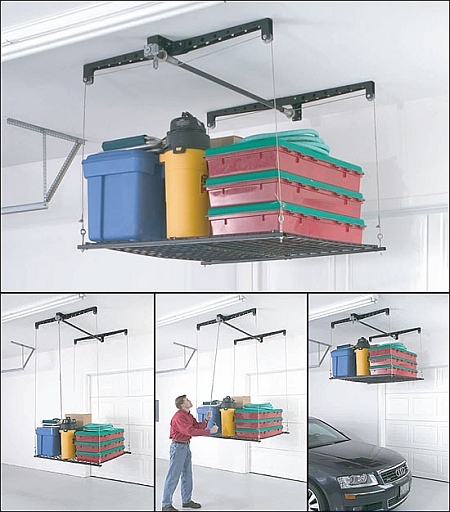 It installs with a Velcro-like tabs, and tie-up storage allows the garage door to open and close with it installed. The kit shown includes the poly screen, pet door, tie-backs and roll-up pipe. 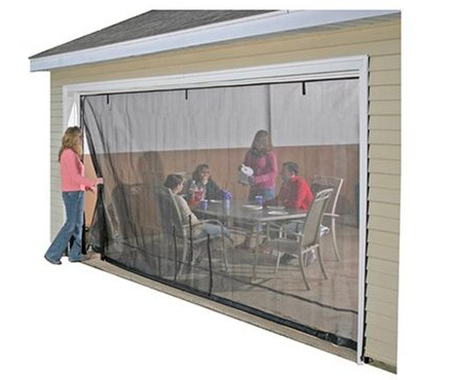 The Garage Screen is available in widths for both single and double garage doors, roughly $80 and $120 respectively. Warmer weather usually means spending more time in the shop — and sometimes noticing how crappy the ol’ floor has gotten over the years. One solution some folks turn to is an epoxy coating for the garage floor, which protects against stains, is (relatively) easy to clean, and reflects more light for those under-engine jobs. Also, it needs to be applied and aired out when the air temperature is around 65-80 degrees F, so now’s a good time for a lot of people to do this project. 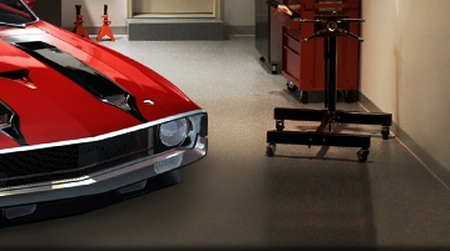 Rust-Oleum’s Epoxyshield products include a garage floor coating that comes in gray or tan semi-gloss finish. (It’s completely optional whether you want to throw in the decorative paint chips.) The manufacturer says the coating “protects against gasoline, antifreeze, motor oil, salt and hot tire pick-up.” They also say it cleans with soap and water, though my own experience with epoxy-coated floors says some heavy mop scrubbing may be necessary for oil stains. Street pricing for the kit runs around $70. My question about this is whether a kit is the best way to go — or if it’s better to buy parts separately, or just hire someone to do it (concrete etching can be kinda rough, and the coating has to be applied quickly within a specified time period). And is the quality of the coating comparable to a professional job? Post your thoughts in comments.